If you are like the majority of people (myself included! ), most of your family images live on your computer. With so many options, it can be tough to know the best way to display your images and to find the time to order, frame and hang your prints. 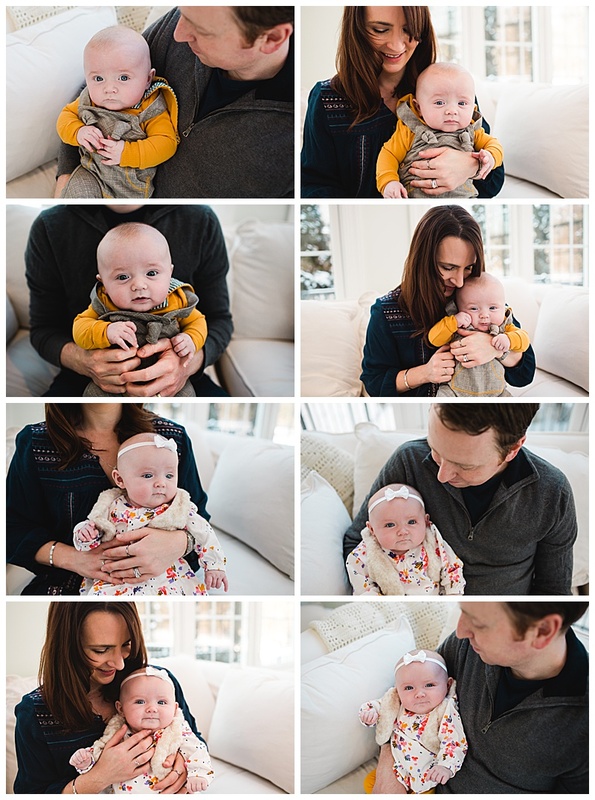 In 2019 I really wanted to come up with a product for my families that highlighted your session’s images and required no work for you… no measuring or framing…no deciding which images to print…. no time spent uploading and online ordering. This beautiful soft cover book with lay-flat pages is the perfect combination! After your session I will design your book, have it printed and delivered directly to your home. It will include the majority of your session images, along with a custom cover including your family and/or newborn’s name. This can be displayed on a shelf in your home, or placed on your coffee table for visitors to flip through, and easily taken in your purse to share at a family gathering. The high-quality paper and lay-flat pages make it feel like a work of art, and the soft-cover makes it light-weight, portable and easy to share! I am planning to create more of these for my own family in 2019 and I can’t wait to share them with all of my families in the year ahead! My hope is this book will keep your memories preserved for you and your family to cherish for years to come. Get in touch to schedule a session and get your own custom photo book! This past year I have had the chance to truly grow along side another family. They took a chance on me to document their family, as I was continuing to build my business. This little man, who is now a big one-year-old, was the focus of my first Fresh 48 session. Their family welcomed me into their home many times and they recently let me create a family film for them as I build my portfolio. Mom and I have known each other longer than I have known any of my friends. We are true life-long friends. The kind you could call for any thing, any time, even though you might go months without talking to or seeing each other. Seeing her family grow and getting to document it was such a sweet gift. I wish them all the best as the years go by and I cannot wait to document their future milestones. If you are seeking an Indianapolis Family Photographer or Newborn Photographer to document your family I would love to connect with you, and watch your family grow! This sweet family welcomed their little man a few weeks before I stopped by to capture some in-home images of their newborn baby and family. I also was lucky enough to create a family film highlighting this new addition to their family. I love working with big families. There are so many dynamics and personalities to capture. It really makes for a fun session. These three big sisters are the sweetest and seem (mostly) excited to have a new little brother to look after. They had such a gorgeous home and I loved every second of working with their lively bunch. Curious about In-Home Lifestyle Newborn sessions? If you are located near Indianapolis or Carmel, expecting a little one soon and are interested in newborn photography or newborn films, please reach out to book a date on my calendar. I would love to meet you and your growing family!